ATTENTION CAR GUYS OR HOME MECHANICS, your dream home awaits! Come check out this GORGEOUS RANCHER on OVER 1/4 ACRE, located at the end of a dead end street. Comes complete with a 62'x16' SHOP (220 power) that is HEATED/INSULATED (with over height door) & is perfect for restoring/working on CLASSIC CARS or a BIKE GUYS DREAM! There is also an office/hobby room located adjacent to shop. 2nd SHOP/GRG (220 power) is 24'x40' with attic ladder for storage above. 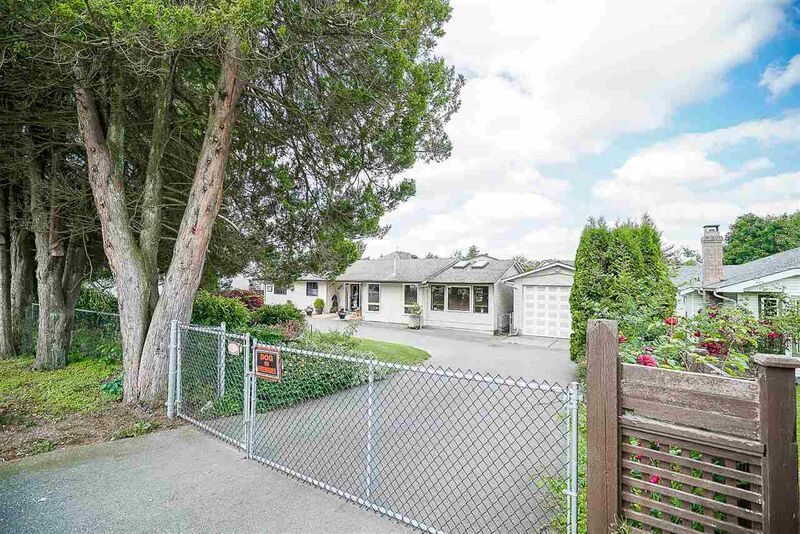 You are greeted upon arrival with a LARGE GATED U-SHAPED DRIVEWAY with lots of parking (plenty of room for RV/Boats) & the residence includes 2 beds/3baths & an oversized living room! Out back is your very own PRIVATE GARDEN OASIS, which is sure to keep you relaxed for hours!